← Hot! Humid! Slow! – ABORT! ABORT ABORT! Somehow the cats enjoy playing their version of ‘hide & seek’ with this purple plastic tray. They do not object when I put it on one of them, first they would run around like a turtle, trying to tease the other cat. 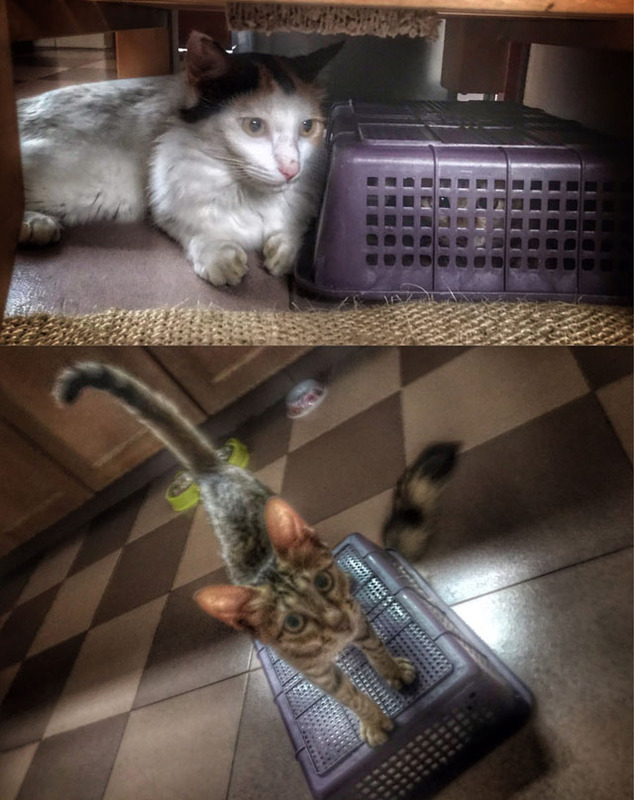 Each picture shows both cats, but you have to look or you might miss one of them. Rest assured, eventually they can just flip it over and get out.